← Gift Cards 20% off! This week only! Now you can order monogrammed jewelry from our website! 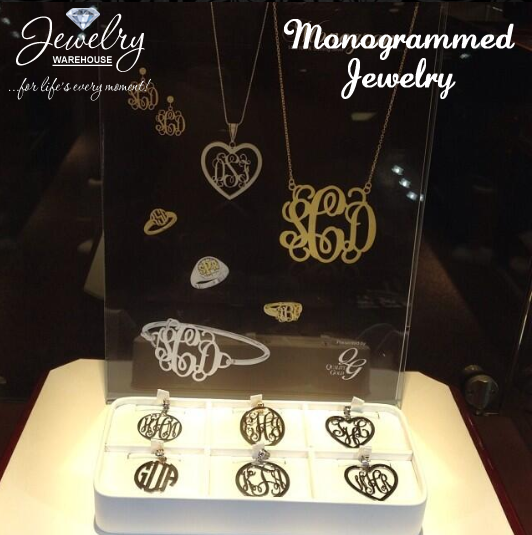 Monogrammed Jewelry is one of the hottest personalized items trending today! It has been spotted on countless models on the world famous Sports Illustrated swimsuit issue. A personalized monogram necklace is an excellent and artistic way to showcase your individuality with intricate initials! They also make a great gift! We love this trendy style. What do you think? You can see more of them online here. This entry was posted in Jewelry, Jewelry Trends and tagged Jewelry, jewelry warehouse, monogram pendant, monogrammed jewelry, monogramming. Bookmark the permalink.